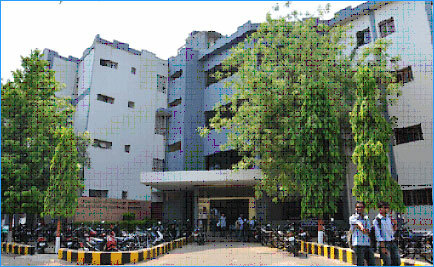 The Department of Computer Technology, Yeshwantrao Chavan College of Engineering was established in 1985 and is accredited by National Board of Accreditation Three times since 2003 and provides an outstanding Academic and Research environment complemented by excellence in teaching. The Department offers UG Programme- B.E. in Computer Technology, PG Programme- M.Tech in Computer Science & Engineering. Department is the approved Ph.D. research centre RTMNU, Nagpur. The curricula of programmes have been designed to cater to the ever changing needs and demands of IT industry as well as Research organizations with a proper blend of professional core and industry aligned electives. The Department offers four different Thrust areas such as Computer Network, Computer Vision and Soft Computing, Data Mining and Language Processor under which various activities related to research and development are carried out. The Department has excellent infrastructure and computing facilities supported by high speed Ethernet and wireless networks. Department has Approved Association for Computing Machinery (ACM) Student Chapter, and Computer Technology Student Council (CTSC). Various Technical, co-curricular and extra-curricular activities are carried out throughout the year. The Department has undertaken many Research and Industry projects funded both by multinationals and government agencies. The department has successfully organized faculty development programs on edge cutting technologies under various Funding Schemes of AICTE, DST, E & ICT etc. The departmental faculties have to their credit, Registered Copyright, Consultancy and Research paper publications in reputed International Journals as well as Conferences. Vision To be a well-known center for pursuing computer education through innovative pedagogy, value-based education and industry collaboration. Mission To establish learning ambience for ushering in computer engineering professionals in core and multidisciplinary arena by developing problem-solving skills through emerging technologies. PSO1. An ability to acquire skills to design & develop quality software using cutting-edge technologies of Computer Engineering. Department is having a buildup area of 1925 Sq.Mtr. State of the art Infrastructure as per AICTE norms: 6 classrooms, 4 tutorial rooms, 1 conference hall, 1 Department Library / Board Room, 1 Girls Common Room & 1 Student Activity room, Sufficient staff rooms with Internet facility. In session 2018-19, Total 44 students were provided with Industry/Live projects. Coding club to enhance coding skills of students. Speaker’s club for 3600 development of students. Shadow teaching scheme for students. MOUs with reputed research organization and leading industries. Approved research center for Ph.D.
Every Year Department publishes Annual Magazine "Dhyaas" & Newsletter "Technosavvy"
Parent Teacher meeting is organized once in every semester to discuss various ongoing activities in department along with its benefits for students.